Do I care? Hell yes - this blog is hosted at GoDaddy. I run a few websites at GoDaddy, and use their email too of course, plus a few other features and services. My websites are up again, and so is this blog, but I don't have access to any of my email. I have some experience in what it takes to take down a site, or series of site. Basically, with a single PC and a bit of script you can single-handedly take out a server. In the old days. You just send it an HTTP connect request, a basic socket request, or if you're more evil than that, you send it a genuine request it should be able to handle. If even more evil - well let's not go there shall we? In the new days? 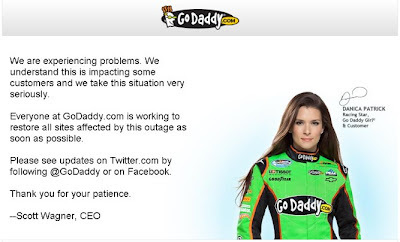 With the millions of sites GoDaddy is hosting? It would take a primary bottleneck to target, and even though the story goes that their DNS has been targeted (never mind), that wouldn't give the current results. Where's the pattern? The pattern among all these is that the requester is in the same place all the time - meaning his IP address, the Web equal of your ZIP code and house number combination, unique in the world, stays the same. The effects of that? Devastating. Simply devastating. 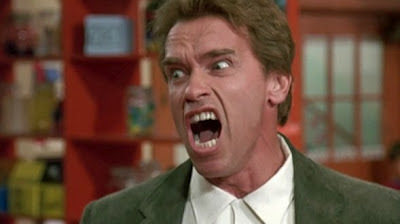 Forget Arny among one single class of kindergarten kids, this would unleash the combined kindergarten school classes of this entire planet onto him. So, back to the P2P networks: how did they fix this problem? The first problem, getting multiple requests from the same IP within a certain amount of seconds, was met by blocking the IP at the firewall level. A firewall is what we all have these days and is built in into our modems and routers, because that has appeared to be a bare necessity over time. A firewall separates your PC from the outside world, and vice versa.